TBILISI, DFWatch–The popular Ukrainian festival KaZantip, which took place in Georgia last year after Russia’s annexation of Crimea, may this year return to Ukraine but with a different name. 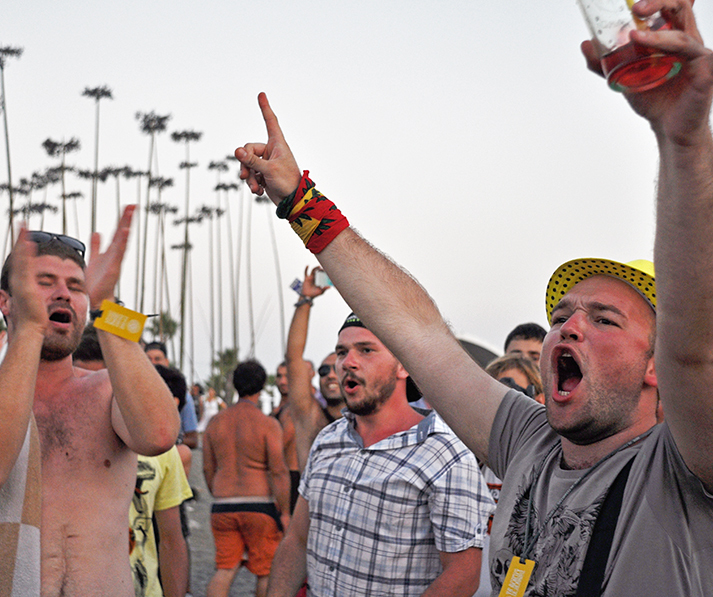 An alternative music festival will take place in Anaklia, where the festival was held in 2014. Russian online media outlets write that KaZantip is returning to Crimea after a failed plan to hold it in Cambodia in February this year. Lenta.ru quotes Nikita Marshunok, the founder and so-called president of KaZantip Republic, saying that KaZantip will still be in Popovka from July 31 to August 16, but the name will be changed to Befooz. “Yes, the festival will take place “regardless of weather” – he wrote on his Facebook page, adding that the scale of the festival and the size of the site will depend on the amount of applications to participate in the festival. He also writes that no details have been made public. Only those who register will be able to learn the details on the website. For years, KaZantip was held in Crimea. Apart from guests from Ukraine and other neighbor countries, a large part of guests came from Russia. After the conflict, the festival moved to Anaklia, Georgia, where conservatives demonstrated against it. This turned out to be a disappointment, as instead of 50,000 guests, only about 10,000 showed up. This was the reason the organizers decided to move the festival to Cambodia. But there, it was cancelled two weeks before it was supposed to start, due to a rejection by Cambodian authorities who feared ‘indecent’ guests. “We are not able to influence the wonder-government of a foreign country who managed to permit Kazantip 5 times and prohibit it 6 times within 10 days,” the official website of KaZantip wrote. Meanwhile, Gem Fest is planned in Anaklia, Georgia, instead of KaZantip. It will take place from July 30 to August 7. Georgian Electronic Music Festival is supported by the government and is the initiative of Giorgi Sigua, former head of the National Tourist Agency of Georgia.